No matter how much you enjoy playing golf, there must be some things that annoy you on the golf courses. Like not being able to measure the exact distance your ball has to cross to hit the hole. Or hitting a ball on a sandy surface. Or not being able to get the big picture of the golf course. But all these problems, and even more ball tracking issues you might have when playing golf, can be easily solved with a single app. 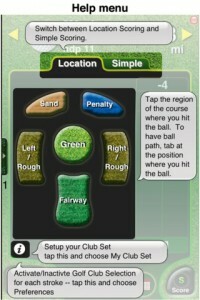 This is GolfSites, and it's patiently waiting for you to purchase it from the AppStore. GolfSites is the only golf assistant you need when hitting the course. Forget about paying a professional to suggest angles for your hit, or buy devices to calculate distances and inform you about other sorts of technicalities, when playing golf. With GolfSites, you can find all the help that you need in one place. From a professional GPS ball tracker to personalized statistics, GolfSites has all the tools to improve your golf game. Although quite expensive (it sells for $25), GolfSites is rewarding straight from the start. Because once you create your account, you instantly receive 5 credits you can use to buy golf course maps. If you're already on the golf course, just let GolfSites detect your location. If not, there's no need to worry. With a single tap, look up golfing locations from all over the world. Once you find the golf course you usually play on, or are going to play on next, buy the map using one of the credits you have. Download the map, set your preferences, and let the game begin. When you get to the golf course, turn on the app, select the map of the golf course and the hole you're at, and let GolfSites do its job. 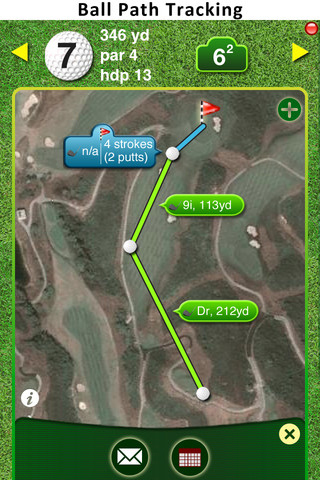 Using a GPS incorporated system, GolfSites will help you track the path of your ball with every shot you take. Also, at any time, you can track the distance your ball has to cross to reach the hole, with a single slide of your finger on the screen. And that's not all! With GolfSites, you'll be able to avoid all those nasty surfaces, because the map also gives you information about the distance where these mud, sand or water traps are located. 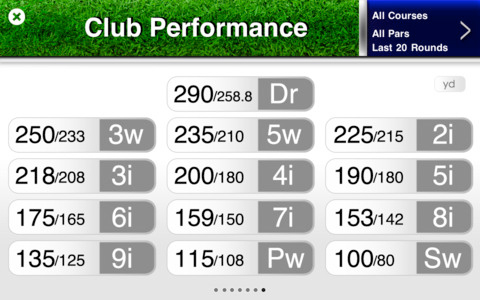 Of course, the app itself will not improve your skills nor will it substitute a caddy. And with every hit you take, GolfSites doesn't only keep track of your ball, but also of your performance. This way, you can check the status of your game at all time, and get a detailed update regarding your putt, recovery, club and overall performance, your accuracy, average strokes by par, and scoring. Plus, for every game you play, you can add up to four players to your digital scorecard and track their evolution as well. All things considered, GolfSites can be considered a step forward in the world of sports. It brings an interesting idea to the table, but I don't know if it necessarily makes golfing more pleasant. 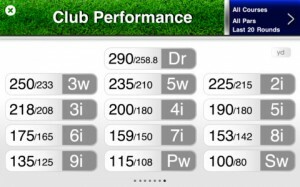 Because playing golf with a club in one hand and your iPhone in another kind of diminishes a bit the beauty of the game. And it's also pretty expensive to my taste. But, in the end, every novelty faces this kind of criticism. And who knows: maybe in a couple of years, using GolfSites to play golf will become as ordinary as using a Bluetooth device to talk on the phone. I think the main objection I have to this app is its price. It’s 25 bucks to boot, and you need to buy every map for golf courses you’re going to play on. This means about 99 cents for each and every new map, even though the app comes with a handful of credits when you first sign up. My bet is that GolfSites is not for you and me, but has a much more different target in mind - one where 25 bucks to get an app is not an issue. What do you think of GolfSites ? Scroll down for our comment section and let us know!